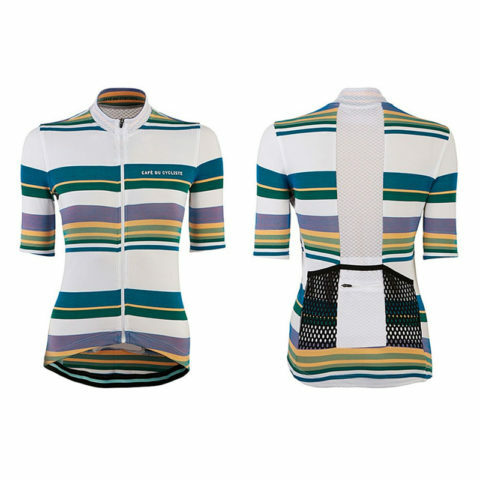 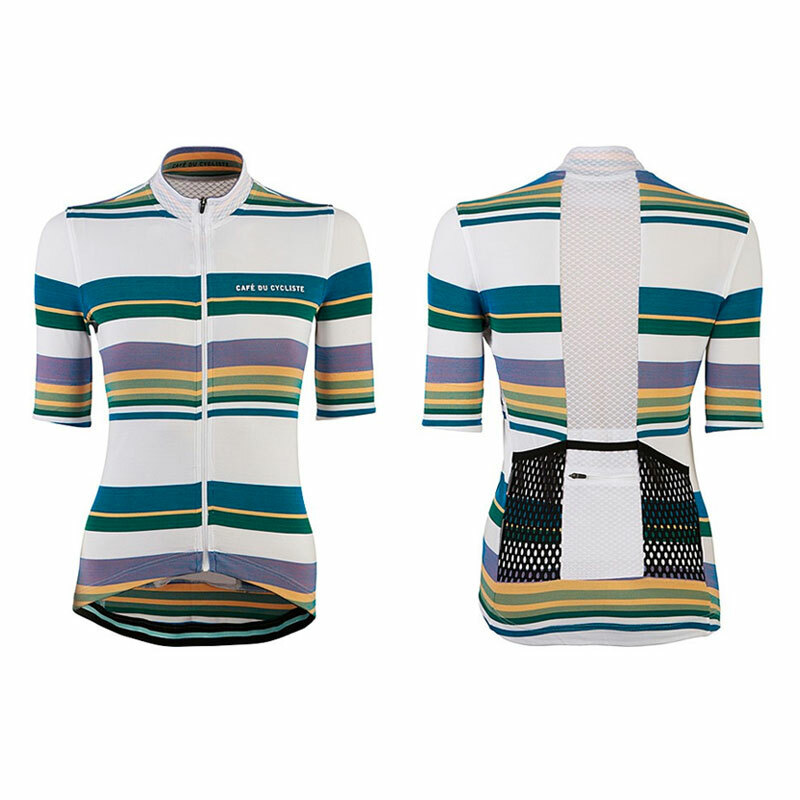 Francine is a highly adaptable women’s performance jersey for road cycling, suited to both Spring and Summer riding. The female specific cut, with a narrower waist and slightly flared hips, ensures a race fit for optimum performance. 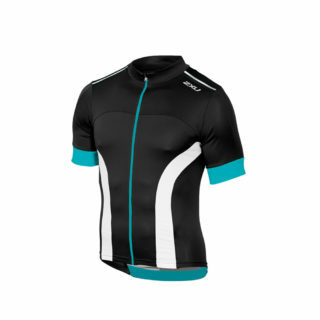 The super soft proprietary fabric is high wicking and fast drying to keep you cool and dry on hot days while open mesh panels on the back and under the arms work together to increase air flow. 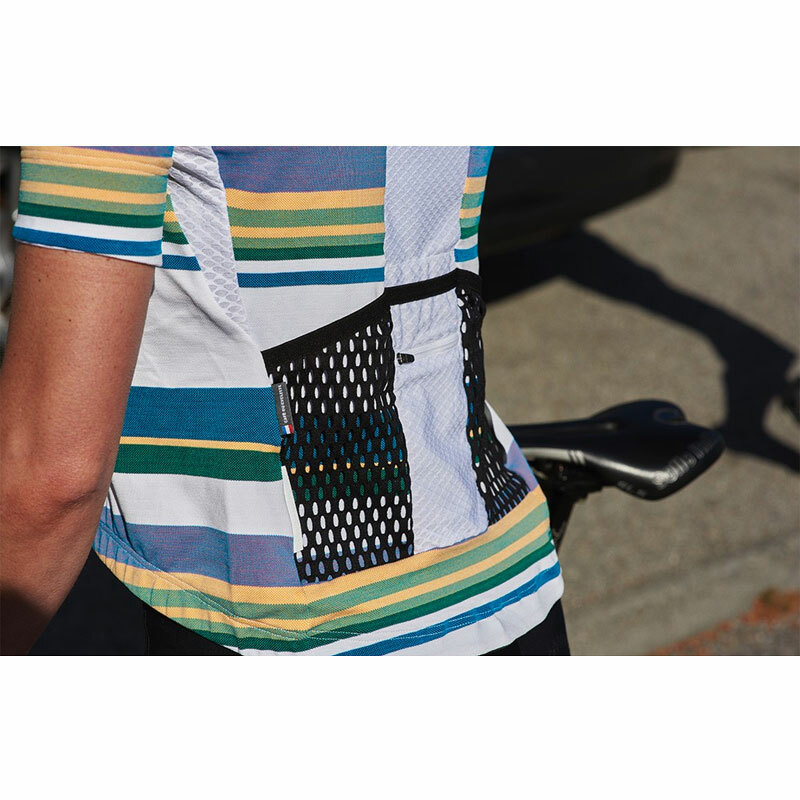 Ventilation is further improved by the unique use of netting on the rear pocket backs to alleviate the need for two layers of fabric. 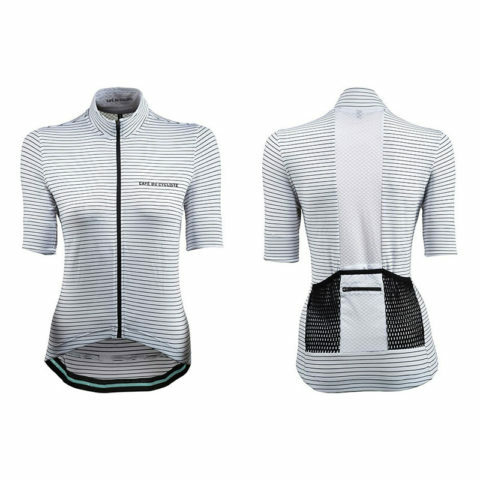 In cooler climes the midweight construction provides additional protection against the wind and Francine can easily be worn as a base, mid or top layer depending on the conditions. 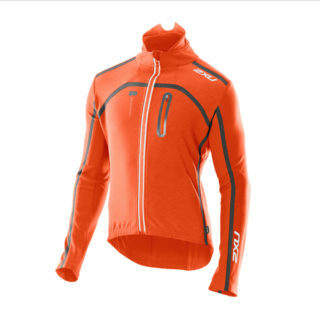 The striking design is complemented by a host of technical features including a full zip with guard, three back cargo pockets and a zipped key pocket, an audio cable system and reflective elements to improve safety when light conditions are less than perfect.